Painting and Decorating involves so much more than just a splashing some paint onto a wall. A room is only decorated on a rarest of occasions and thus if we want it to look good it is always worth engaging the services of a true professional in the field. London decorators are here to help you. Many surfaces become weathered, damaged or uneven. If the fresh paint is to look its best and to survive the course these surfaces need to be treated and restored to a good standards. Polish Painters and Decorators in London - Renomark Limited - that is the answer! Accuracy is also extremely important for our Polish Painters and Decorator in London, so we do all jobs in a professional way. Certainly in London painters and decorators will have the means to attend this and correct any defects. A room is only decorated on the rarest of occasions and thus if we want it to look good it is always worth engaging the services of a true professional in the field. W2 Painter And Decorator Paddington - W3 Painter And Decorator Acton - W4 Painter And Decorator Chiswick - W5 Painter And Decorator Ealing - W6 Painter And Decorator Hammersmith - W7 Painter And Decorator Hanwell - W8 Painter And Decorator Kensington - W9 Painter And Decorator Maida Vale - W10 Painter And Decorator North Kensington - W11 Painter And Decorator Notting Hill - W12 Painter And Decorator Shepherds Bush - W13 Painter And Decorator West Ealing - W14 Painter And Decorator West Kensington. Quality, professional and friendly service. I fit in with my customers needs and endeavour to finish projects on time. I take pride in all my work and believe preparation is the key to a perfect long lasting finish. All materials are of good quality. I work mainly for the private home owner, all floor coverings and furniture are protected estimates and advice are free. With many years of experience in painting, decorating and property maintenance we can offer services and products to suit your budget. Whether your property is a domestic or commercial one in the WestLondon area, we can work to your specification. It is our purpose to provide quality and reliable service to our customers at competitive rates. Polish Painters and Decorators in London provide quality services for the refurbishment and decoration of houses, shops and offices. 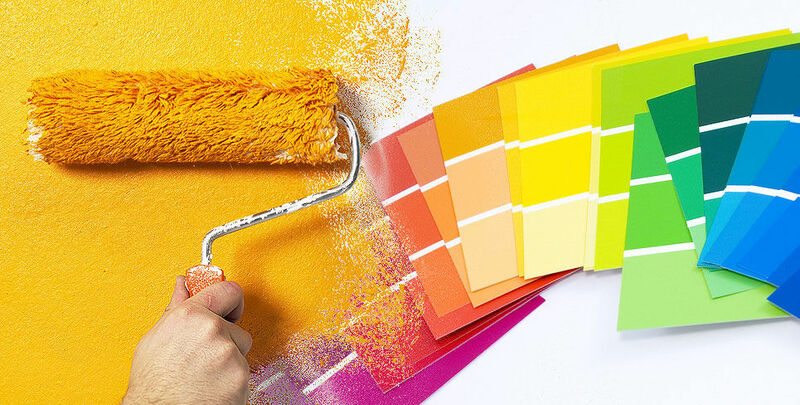 Polish Decorators put passion in their job and always try to create a trusted relationship with their clients, offering high quality at excellent prices. Furthermore, Polish Decorators in London always want to meet the economic needs of every client, offering advice and transparency in all aspects their job. Precision, quickness and tidiness are just some of our distinguishing features. Polish Painters and Decorators in London offer high standards and the utmost quality and use only excellent products in order to guarantee top-notch and long-lasting results. Polish Decorators like to think that refurbishing a space is a synonym for change, a period is over and a new one is starting, above all if we are talking about a house that, for us Polish, is the heart of life, a place to relax in, grow and recover one’s strengths.